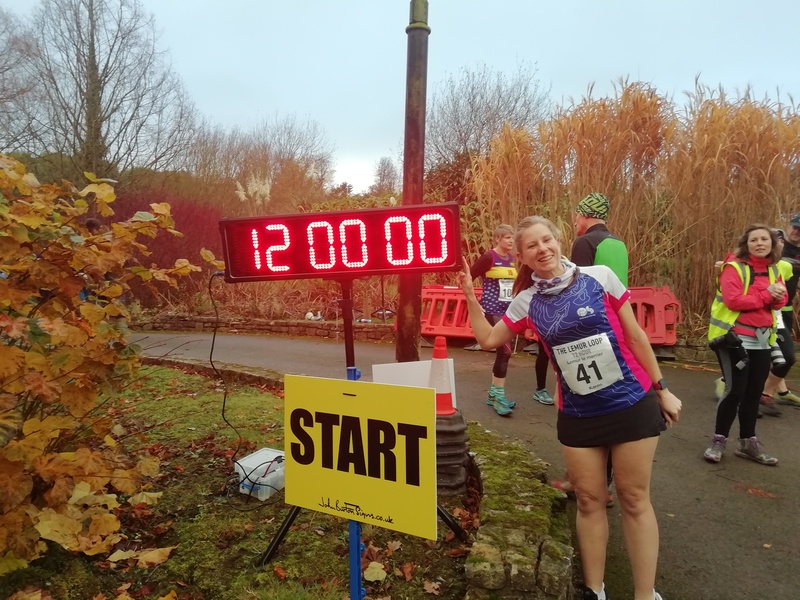 Since starting my running journey on the 2015 desk-5k course, I’ve realised that I’m far more of an endurance beast than a sprinter, and this weekend’s crazy adventure has further fuelled my growing addiction to extreme challenges (there’s worse things to be addicted to, right?). 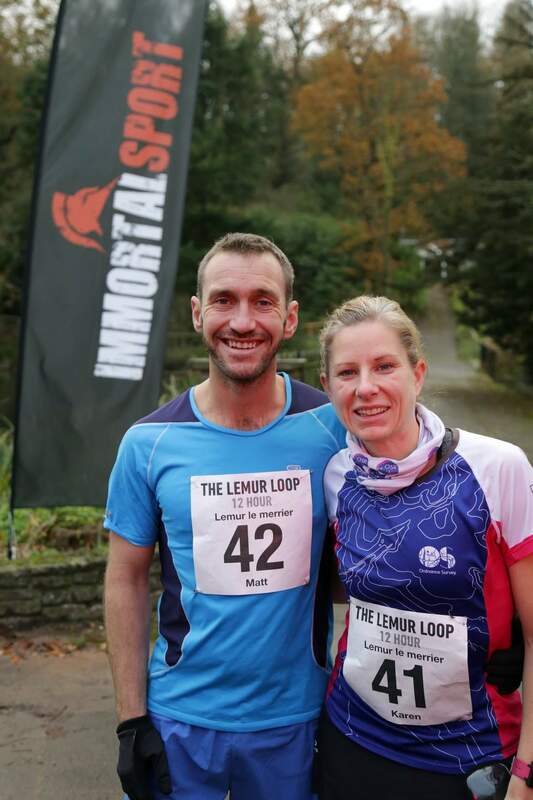 Lemur Loop is a new event where you compete to run as many 10k loops as you can in 12 hours. 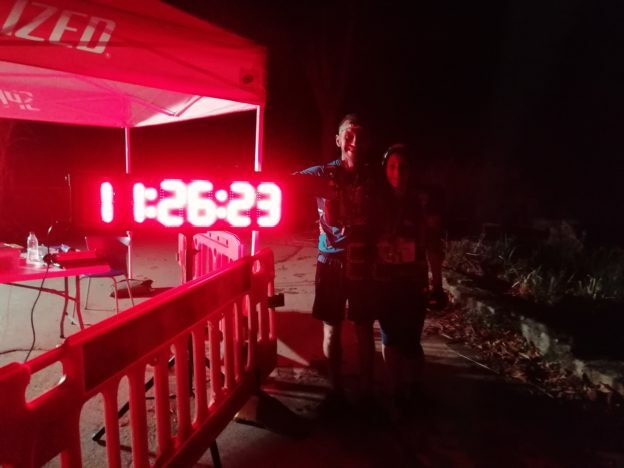 You enter as individuals or teams of up to 6, but it’s not a relay so you can be out clocking up laps with or without your teammates for the full time between 9am and 9pm. There was also the option to complete the first lap only as a 10k race. 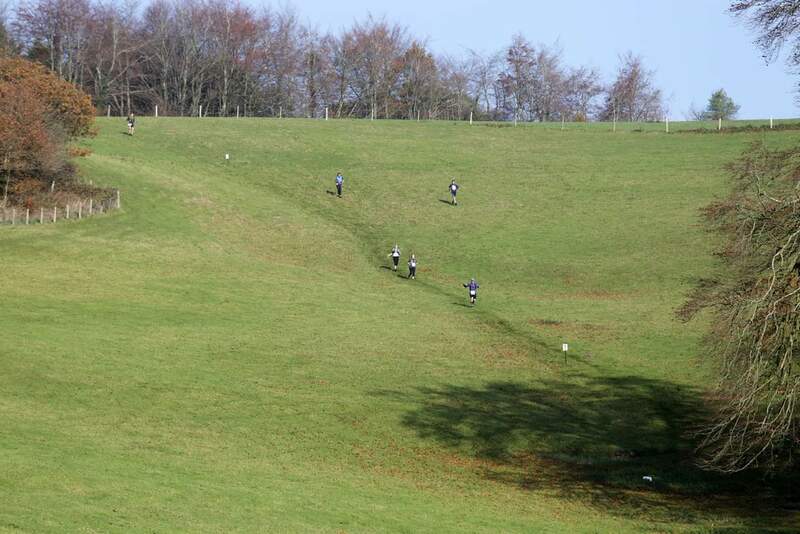 The lap wasn’t exactly a walk in the park, as each lap had 265m of elevation on varied cross country terrain. Matt and I had entered as a mixed pair (team name: Lemur le merrier) and felt that we could probably do alright, as long as there weren’t too many other mental couples out there. I set myself the target of completing 8 laps to give me a respectable 50miles. Matt’s target was just to do more than me! I was really grateful that Viv was back in business in time to give my muscles a good going over pre-race, thankyou Viv! I took the first lap a bit quicker than I’d have liked, but couldn’t help wanting to do well in the 1st lap competition (pretty pleased with 2nd woman). Matt also couldn’t resist and put in a strong effort winning the first lap overall. After that I settled in to a comfortable pace, walking all the ups, jogging everything else. 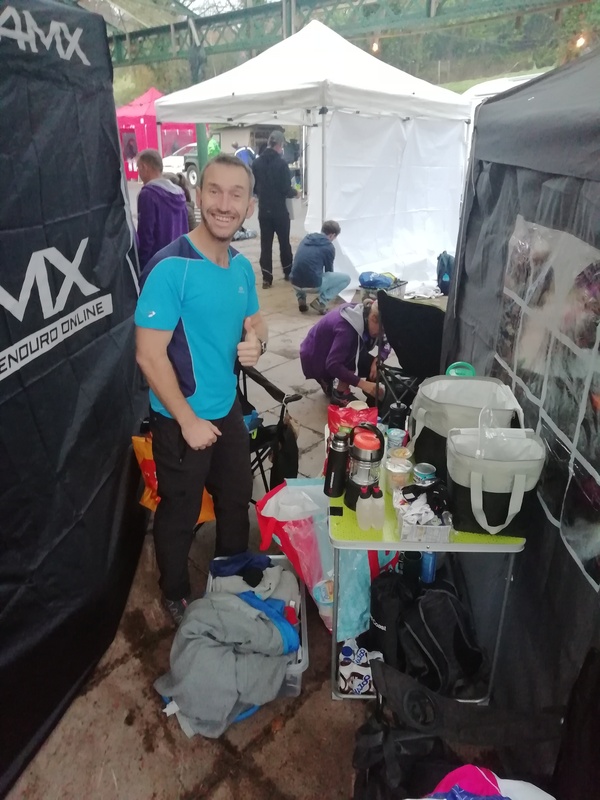 We’d set up our own aid station in “the pits” but didn’t spend much time there, only popping in quickly to grab handfuls of food on the go and to refill bottles. For the first 4 laps I latched on to different groups of runners and with good company and camaraderie the first marathon seemed to fly by! The location, Cricket St Thomas in Somerset, was stunning. The start/finish being in a valley next to a lake with waterfalls, with the course heading out of the valley across rural rolling hills. 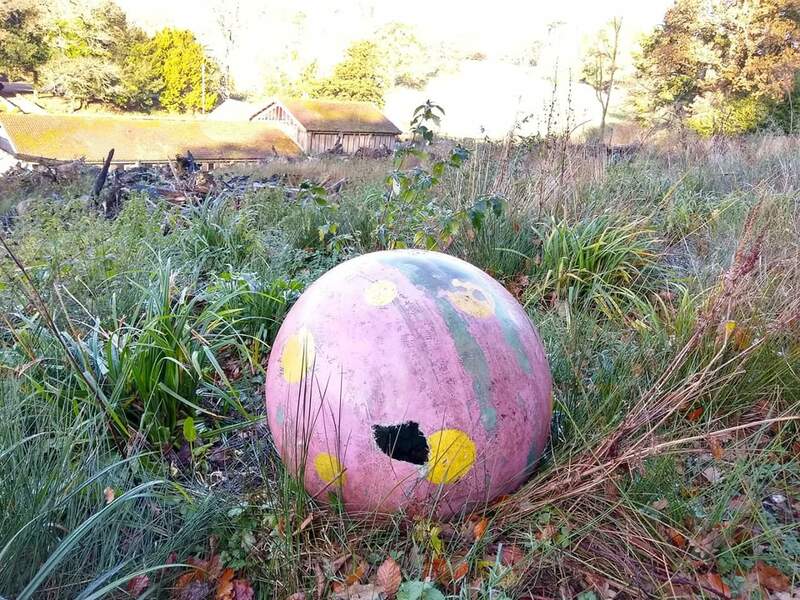 The park used to be Crinkly Bottom (Blobby land) and you could still spot remnants of pink with yellow spotted blobby bits in the overgrown hedges! At the end of my 4th lap Matt caught up with me having done a strong first 5 laps. At that point we decided to run the rest together, this definitely helped me to stick it out (and not slack off as he was watching). From then on the laps got tougher, the steep downhills in particular, but we pushed on! I had a dark moment on lap 6 when I felt like I might not be able to complete, but that soon passed. 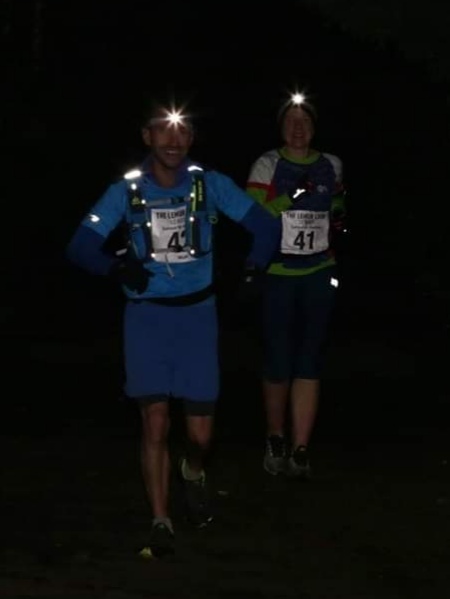 Speaking of the dark, thank you to Baz for lending me his decent head torch which was crucial on the unlit rough terrain! 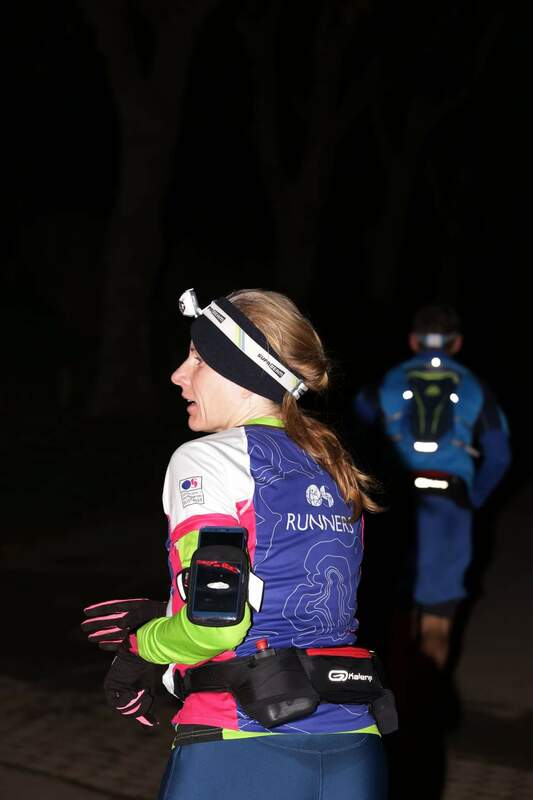 The night sky was crystal clear and on lap 9 I saw a shooting star and made a wish (partly for it all to be over and partly for us to win)! 4k into lap 9 I had another great moment celebrating my double marathon landmark with another runner who we’d crossed paths with a lot on track, hi-5s all round. So my shooting star wishes really did come true, the event did eventually finish, we won best pair and I was the overall female winner, giving me a grand haul of 3 trophies (including the 2nd place 1st lap). Total distances: 90km for me, 100km for Matt all in 11hours 25mins! My longest ever continuous run! 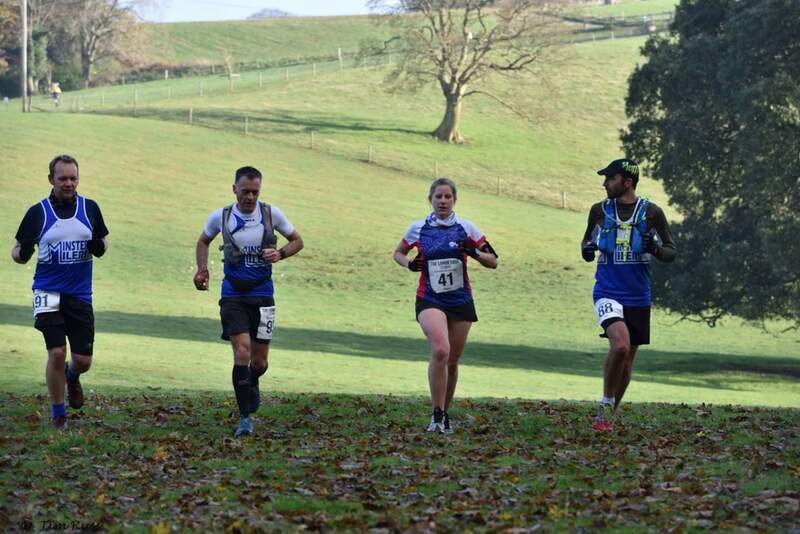 The marshals on the loop were top class and the other runners really friendly and supportive of each other (maybe a West Country thing). I’d definitely recommend this event as the format really lends itself to being sociable. If your team mates are similar paces you could run the whole lot together, supporting each other as you go. 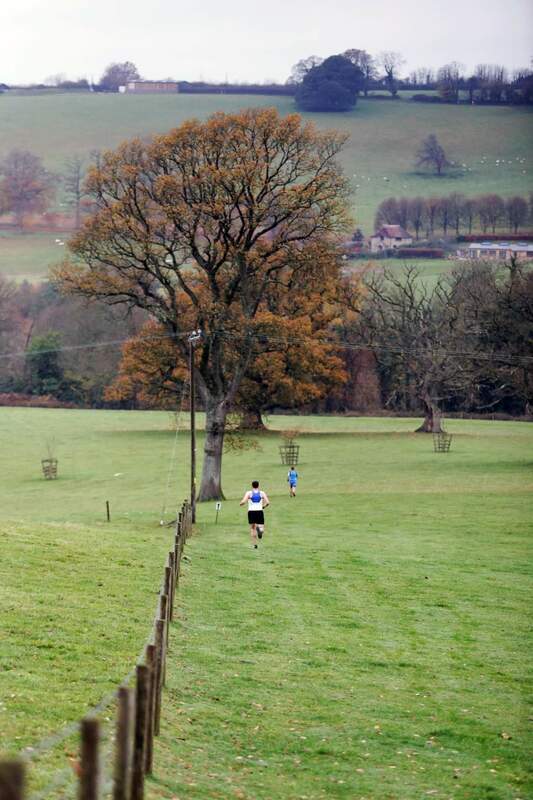 And it was only £35 to enter, making it a lot more affordable than other endurance events! 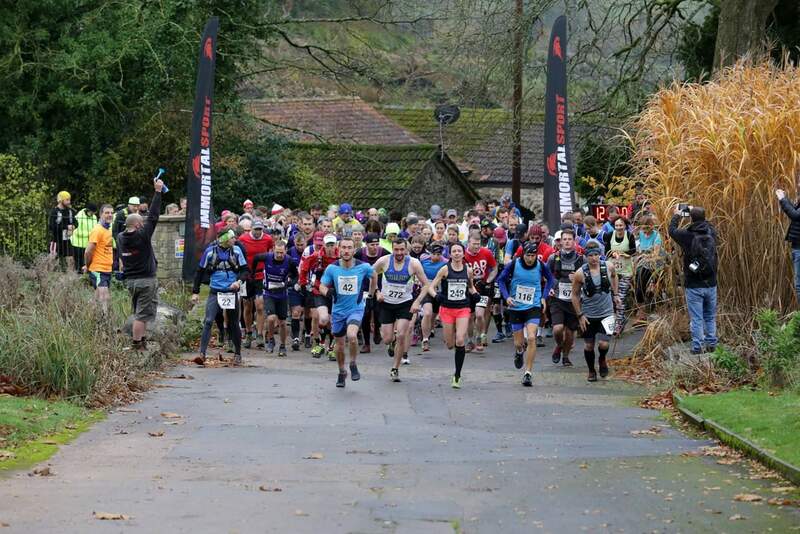 Entries have just opened for 2019 so maybe one to consider for next year. 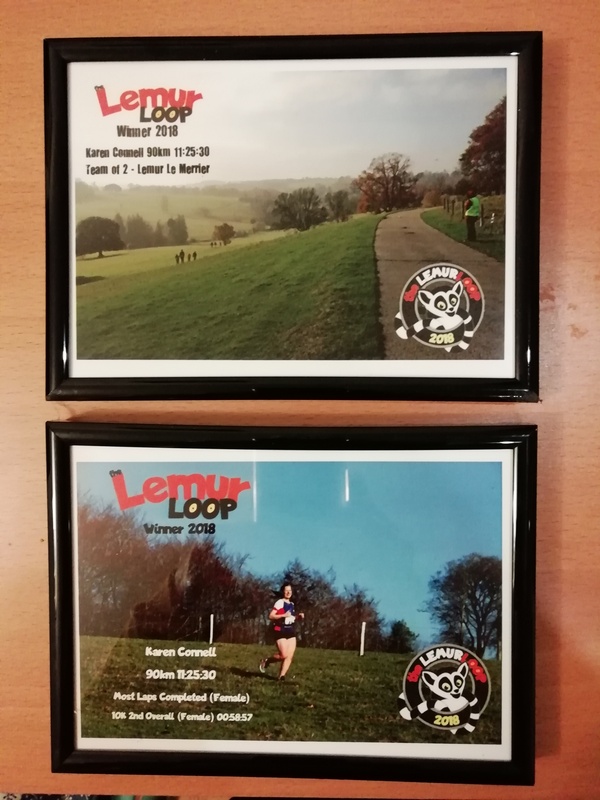 Lemur loop has definitely been one of my top running highlights of all time. This entry was posted in Competition, Event on November 26, 2018 by Matt Pillinger.